An ever changing collection of recently added images. 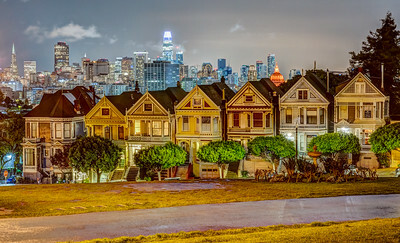 The famous "Painted Ladies" after the rain on a Spring evening in San Francisco. 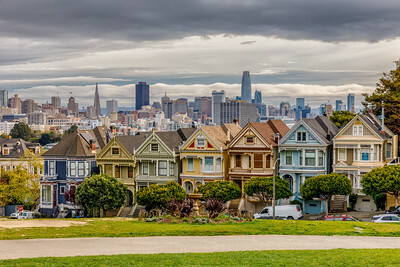 The famous "Painted Ladies" on a cloudy day in San Francisco. 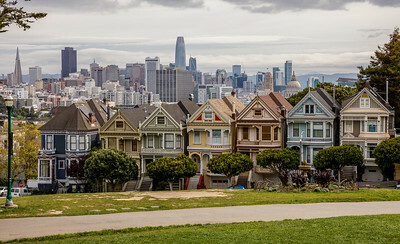 The famous "Painted Ladies" next to Alamo Square Park in San Francisco, backed by the city skyline on a cloudy day by the bay. 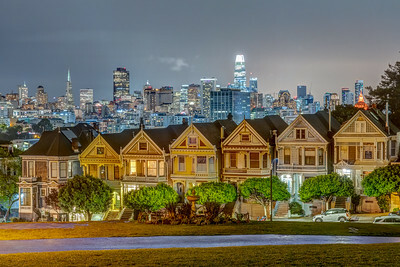 The famous "Painted Ladies" next to Alamo Square Park in San Francisco, backed by the city skyline at night. 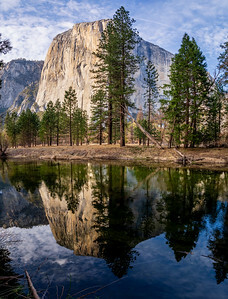 The late afternoon sun combines with the still water of the Merced River to create a perfect reflection of majestic El Capitan in Yosemite National Park. 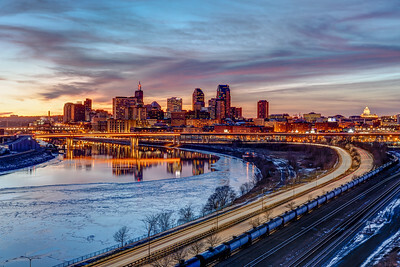 The setting sun paints the sky above Minneapolis on the first day of Spring. 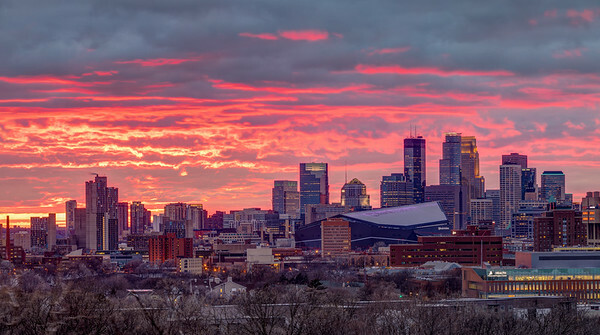 This ultra-high resolution panorama depicts the post-sunset sky on the first day of Spring from Prospect Park (aka The Witch's Hat) in Minneapolis. 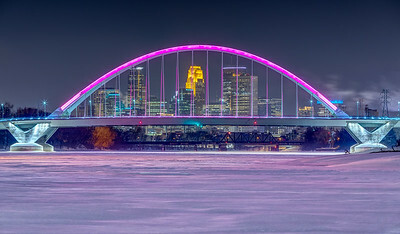 The Mississippi River is covered in magenta-tinted snow in this view of the Minneapolis skyline framed by the Lowry Bridge. 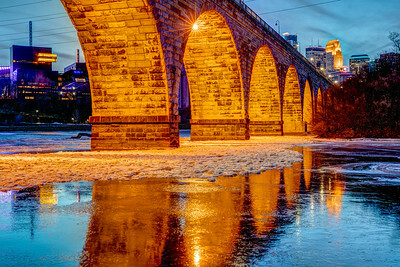 The golden arches of the Stone Arch Bridge reflected in the icy water of the frozen Mississippi. 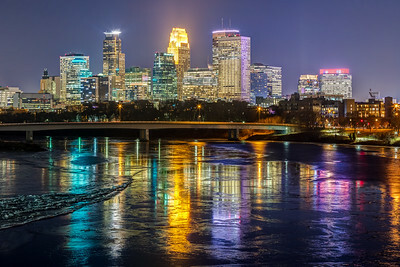 The lights of the Minneapolis skyline paint the frozen Mississippi river. 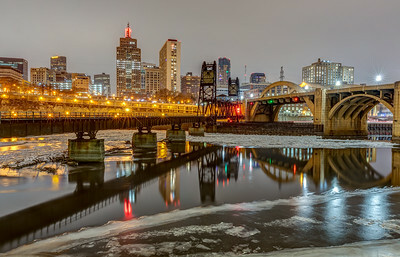 The icy Mississippi reflects the Robert Street bridge and the city skyline of St. Paul on a cold winter evening. Ice is slowly forming on the Mississippi River near the port of St. Paul. 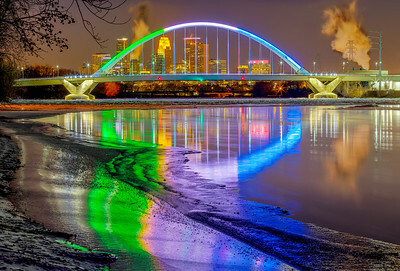 The festively lit Lowry Bridge mixes with the downtown skyline to create an abstract icy reflection on a frigid New Year's night. 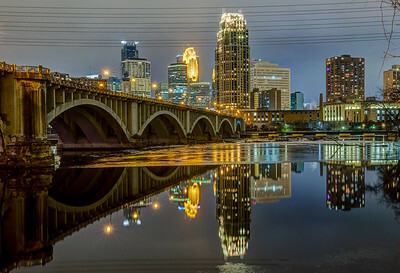 Christmas Night on the Mississippi across from downtown Minneapolis. 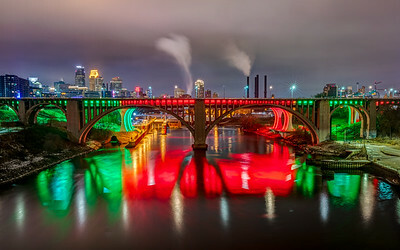 The new home of the MInnesota United soccer team lit up on Christmas night. 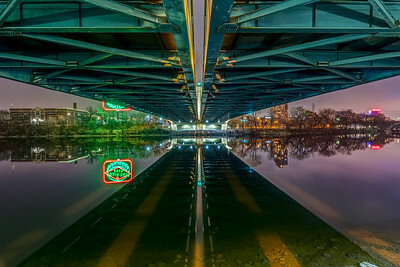 Under the 35W bridge on Christmas Day in MInneapolis. 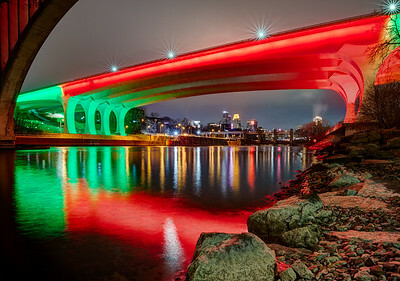 The St. Anthony Falls (35W) bridge over the Mississippi River lit up to celebrate Christmas. 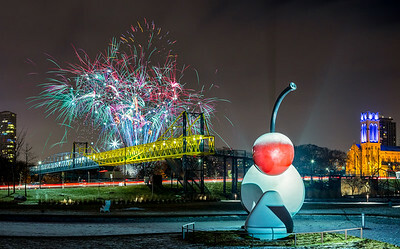 The Holidazzle fireworks as seen from the Minneapolis Sculpture Garden. 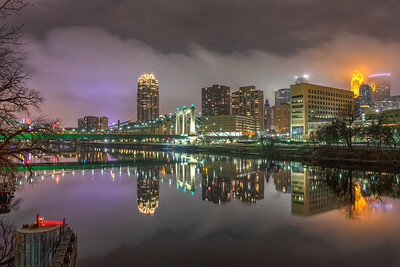 The humid air and windless night create an eerie image of downtown Minneapolis and the Mississippi River.